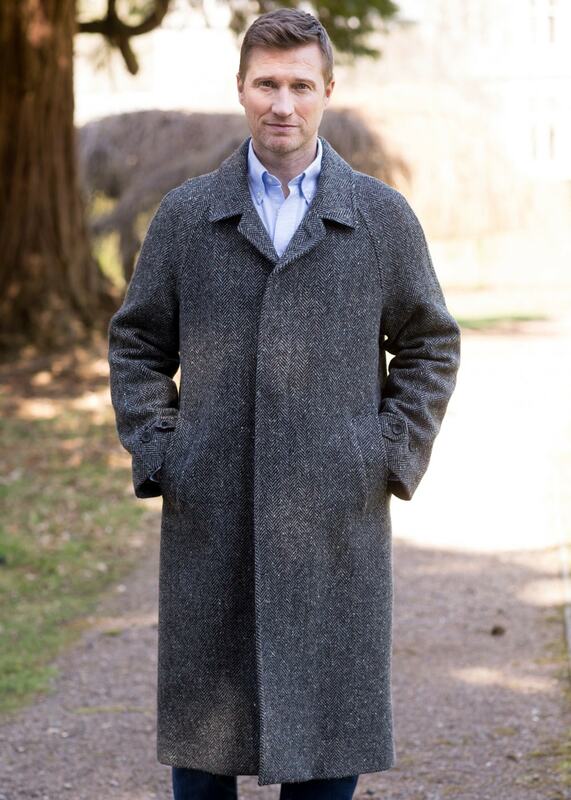 The Corrib Quilted Overcoat by Magee features Donegal handwoven tweeds used to create classic jackets and overcoats appreciated all over the world - linking the world of the weaver to the world of fashion. The Corrib Quilted Overcoat by Magee features Donegal handwoven tweeds used to create classic jackets and overcoats appreciated all over the world - linking the world of the weaver to the world of fashion. Perfect for wearing over a suit or smarter outfit, this handwoven tweed coat is timeless in design and style and its high quality craftsmanship makes it a true investment piece.